Endorsed by the legendary Ben Severson, the Ben Board was highly anticipated and hailed as one of the best high performance boards of the era. 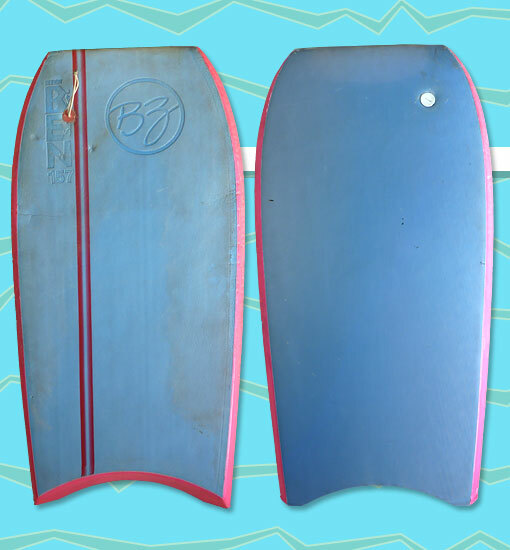 Featuring an Arcel core, a killer template, and slick rails, chines, and tail, it was the flagship of the BZ lineup. The first generation Ben Boards were stamped with a 3-digit serial number. This particular Ben Board is #157 and belongs to Damian Stann.